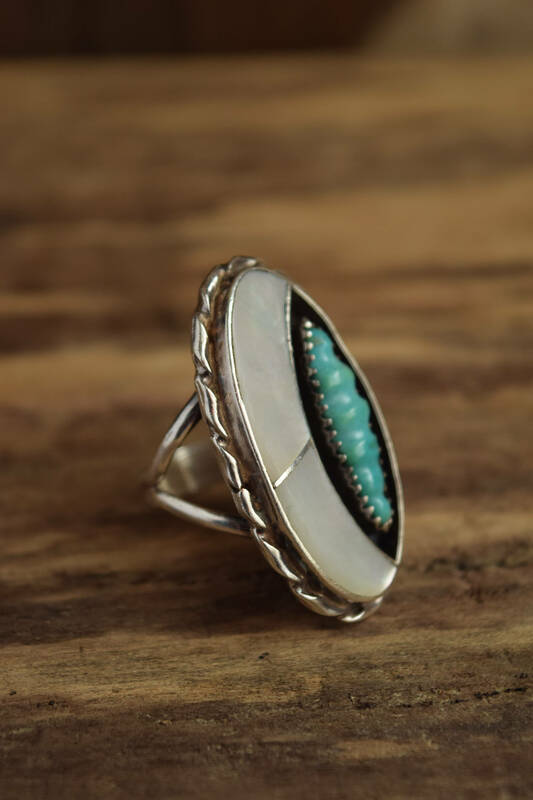 A stunning Native American Cresent moon ring, this piece was crafted by Zuni artist F. Panteah. 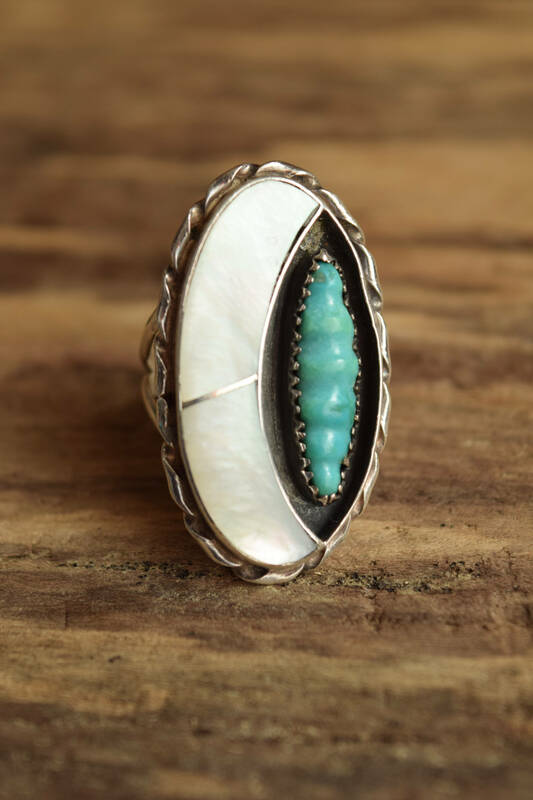 This rich, yet modern southwestern ring features mother of pearl shaped in a crescent moon around a uniquely carved turquoise tone set in sterling silver. 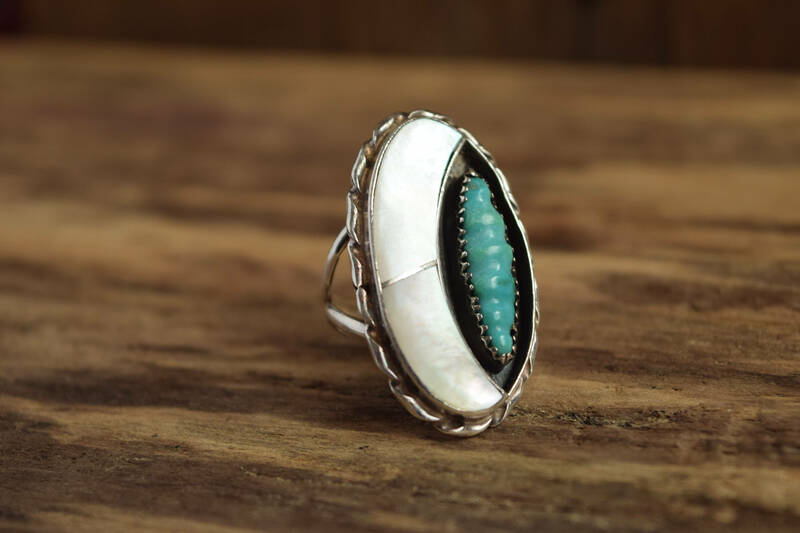 The artist, Florentine Panteah, is known for modern and bold creations, using inlay and shadowboxing to create stunning wearable art. 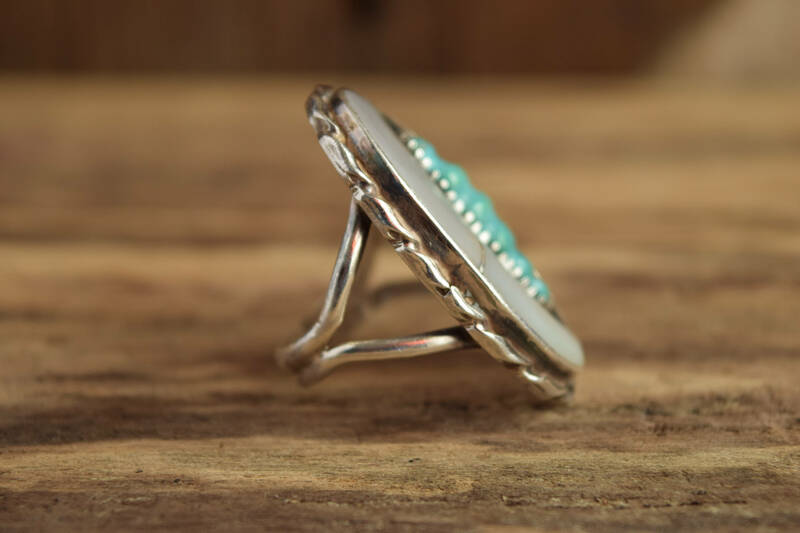 Dress it up or wear it with your favorite billowing dress, this ring will easily become the centerpiece of your collection. Condition: Wonderful previously owned condition. 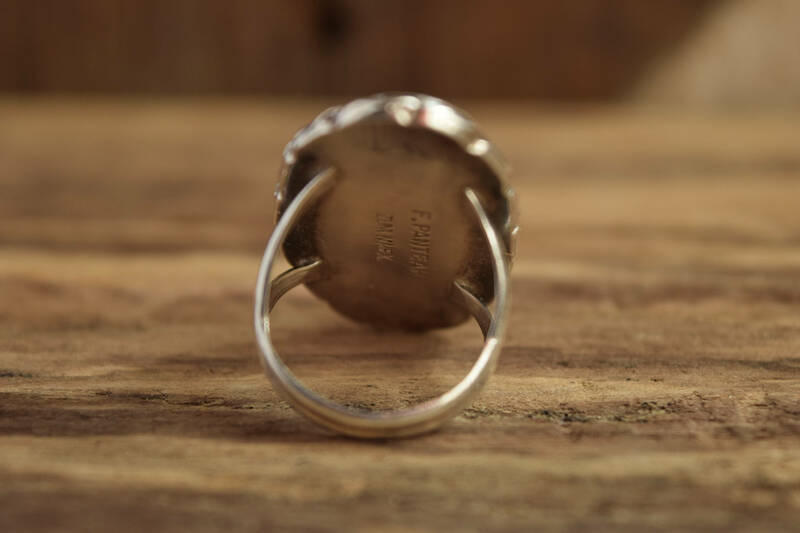 It has usual surface wear consistent with age and use, including scuffs, scratches, very light pitting, and a wonderful patina. The shadow box edge looks like it was bent or dented slightly, but it is very minimal, please see images. 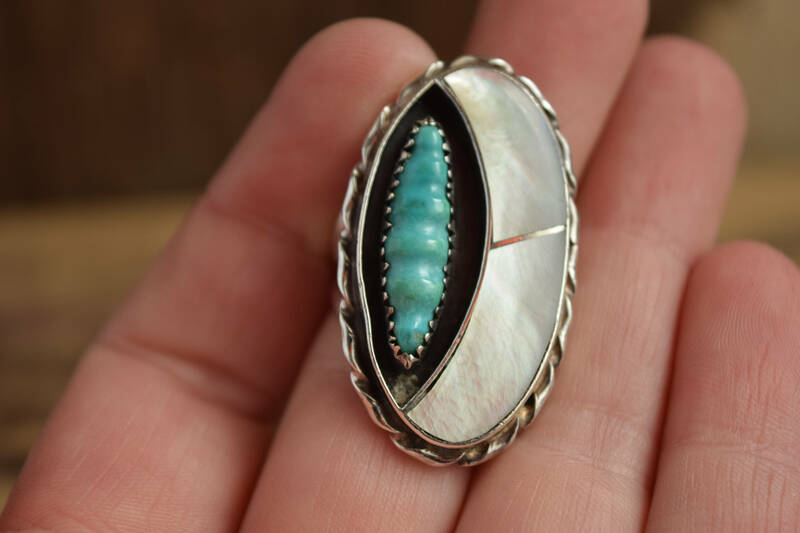 One spot of oxidation is missing at the bottom of the turquoise stone and there is a very small gap at the edge of the inlaid shell. 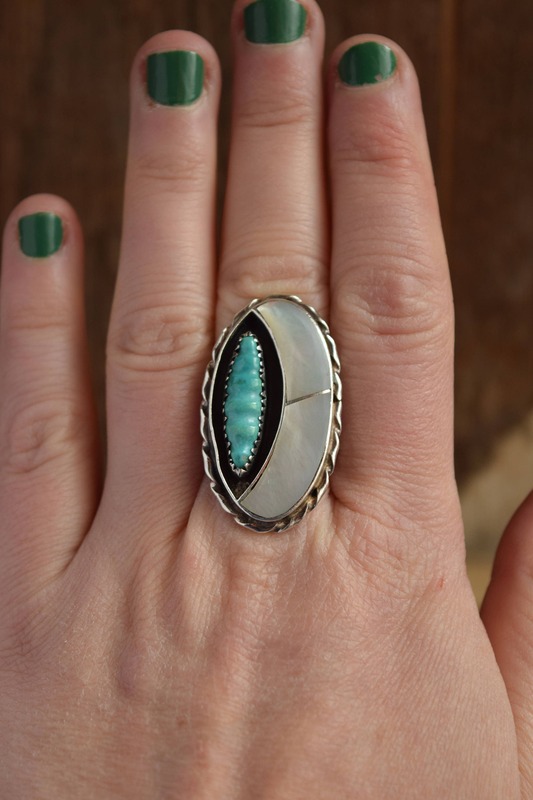 We do our very best to list all wear and damage. Please understand this item is used and is not new. 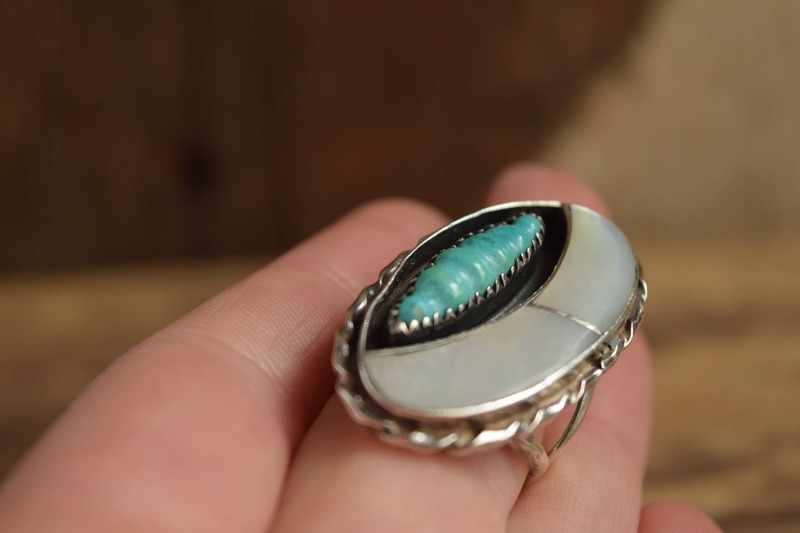 Colors can also vary with your device and/or the settings of the device you're viewing the images on. Thanks for stopping in! 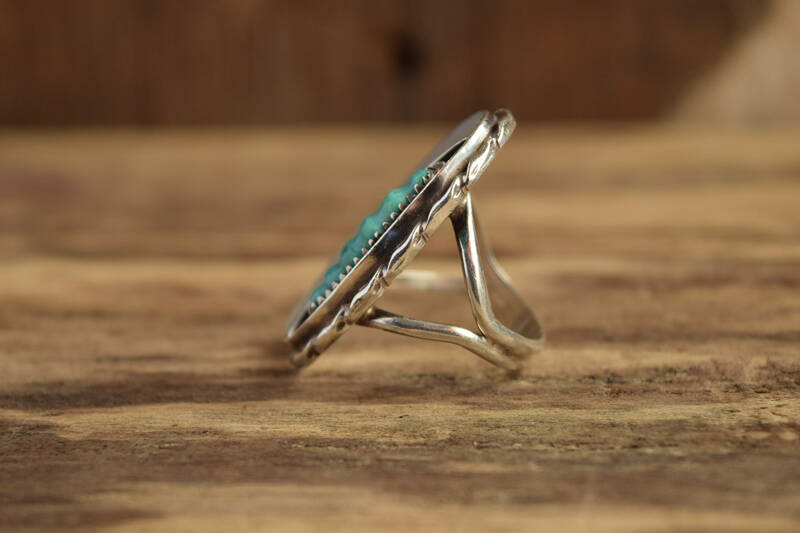 Check out the shop for even more gorgeous rings!